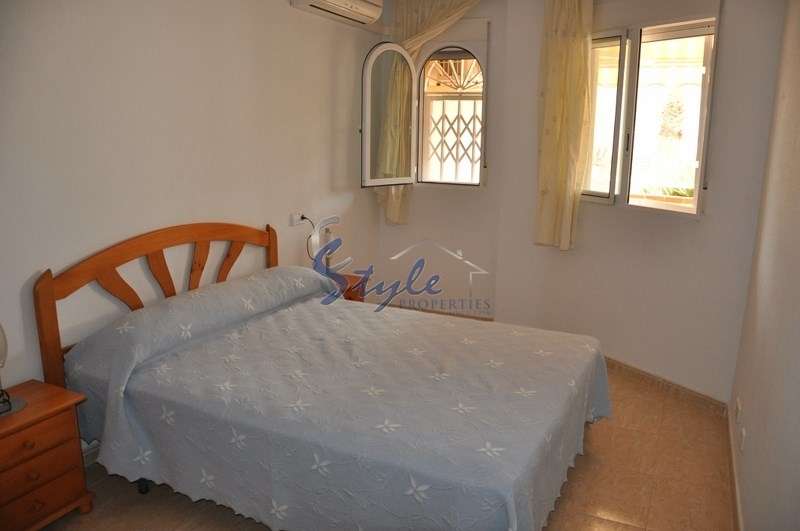 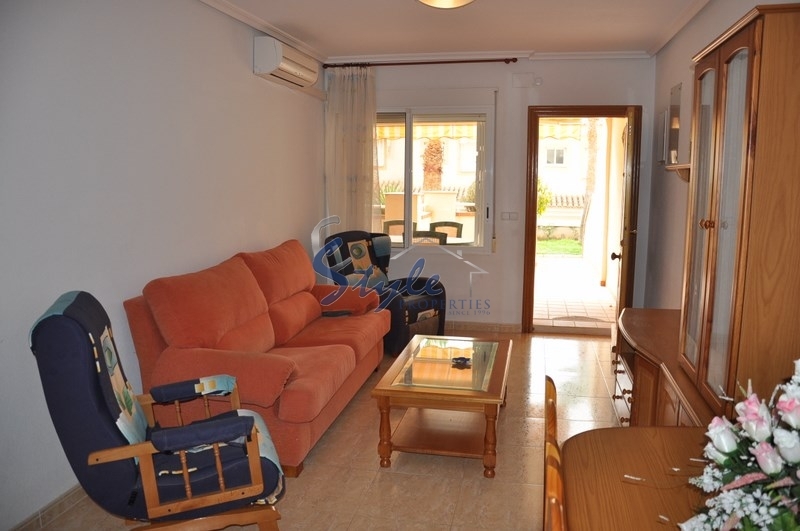 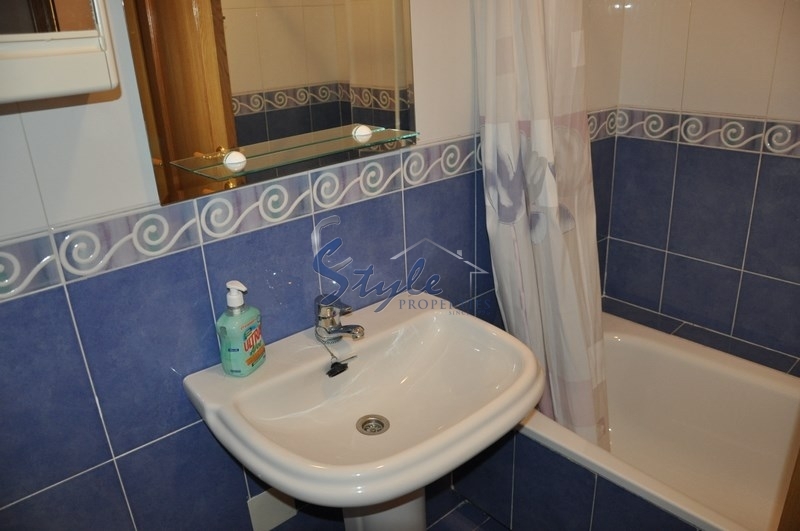 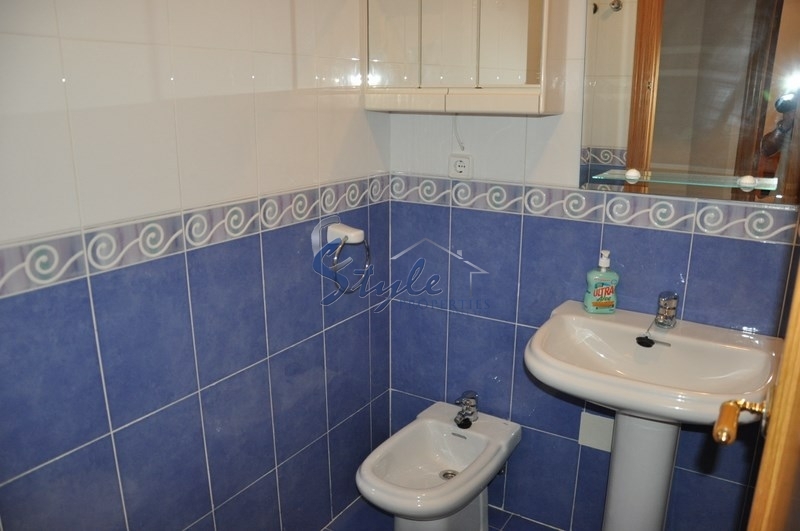 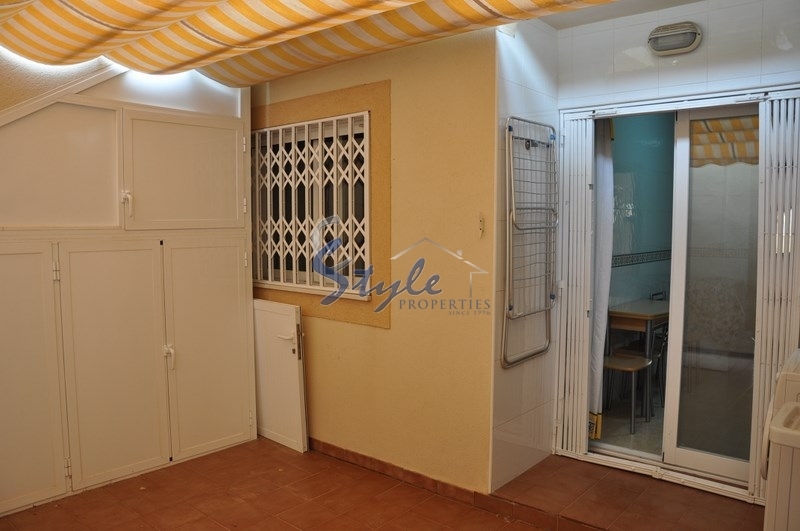 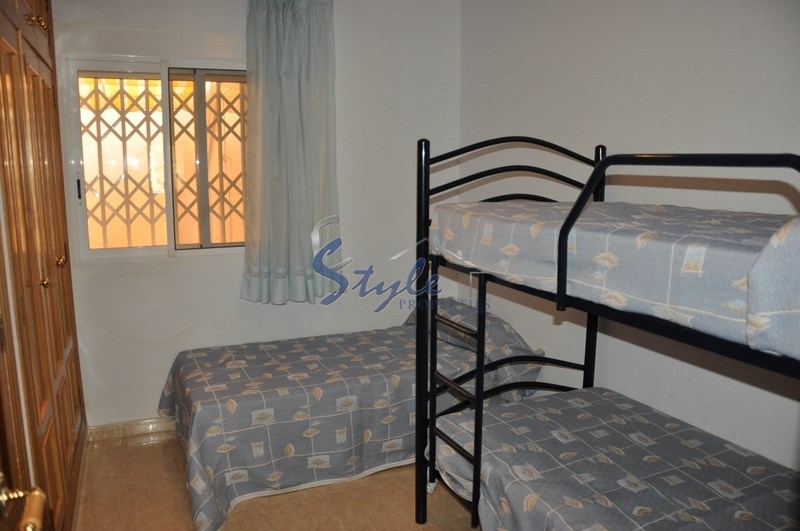 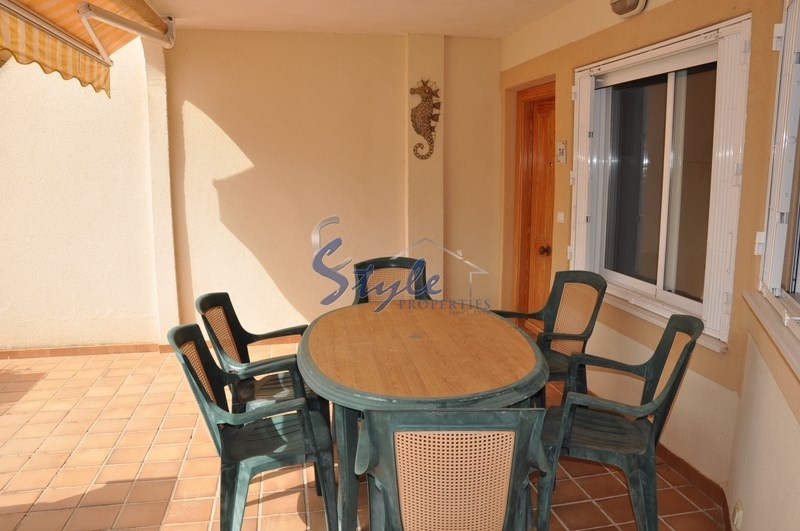 Nice cozy apartment on the ground floor with its large terrace, 2 bedrooms, 1 bathroom, living room, patio. 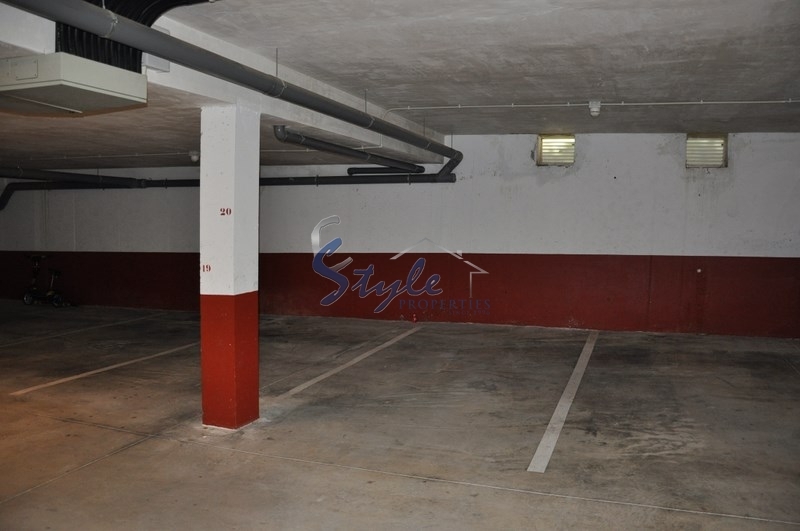 Apartment has its garage space in an underground parking. 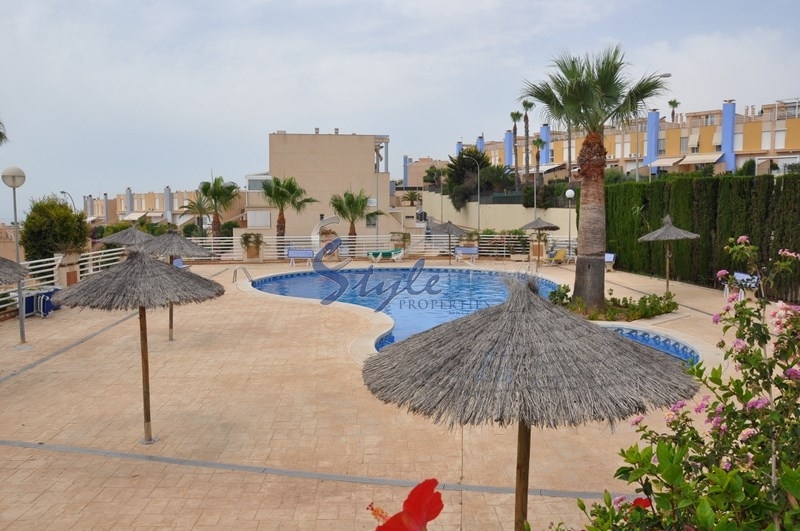 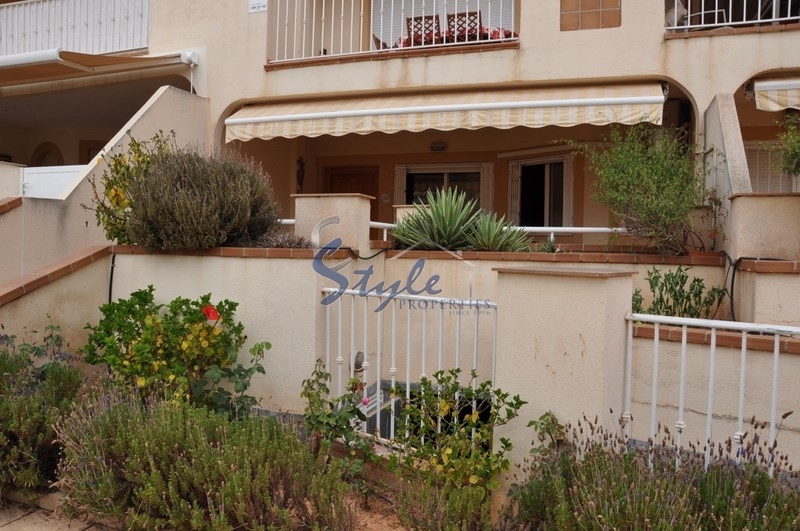 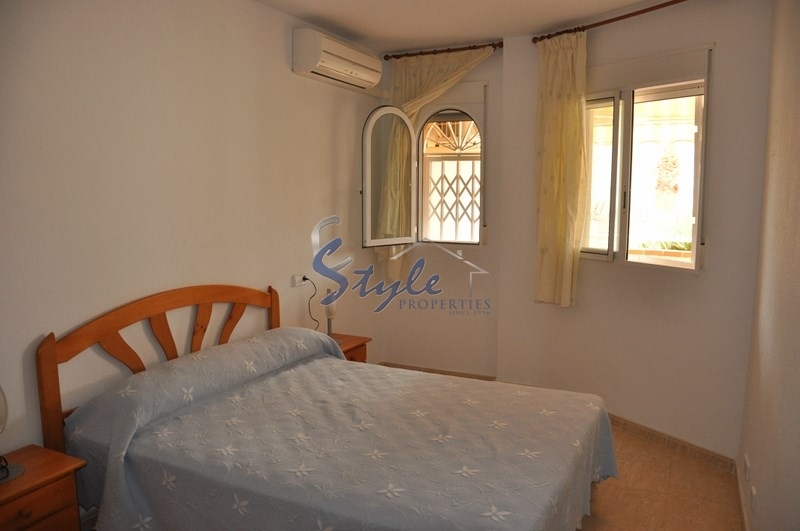 It is located on the second line of the sea in a gated community with communal pool and green areas - Terrazas de Campoamor. 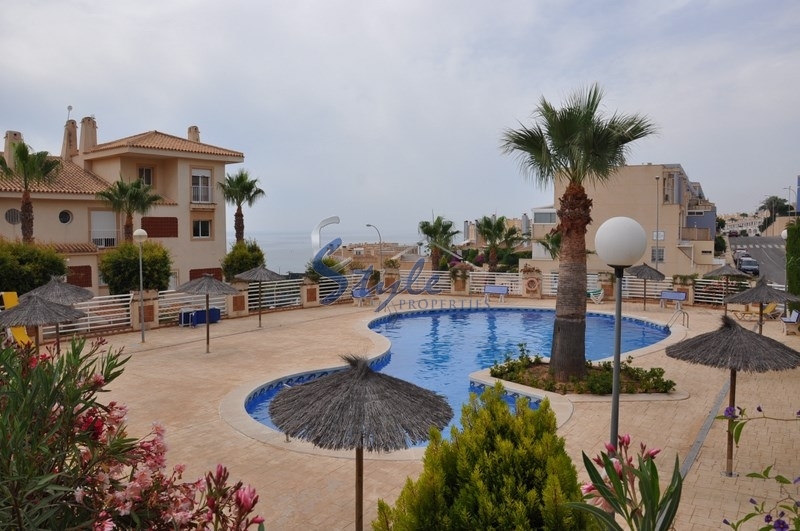 Urbanization has its own exit to the beach of Campoamor - one of the best in Orihuela Costa. 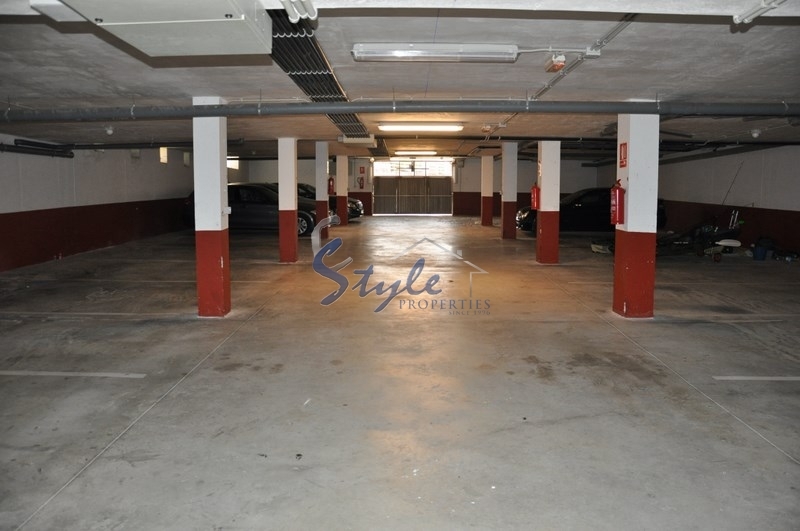 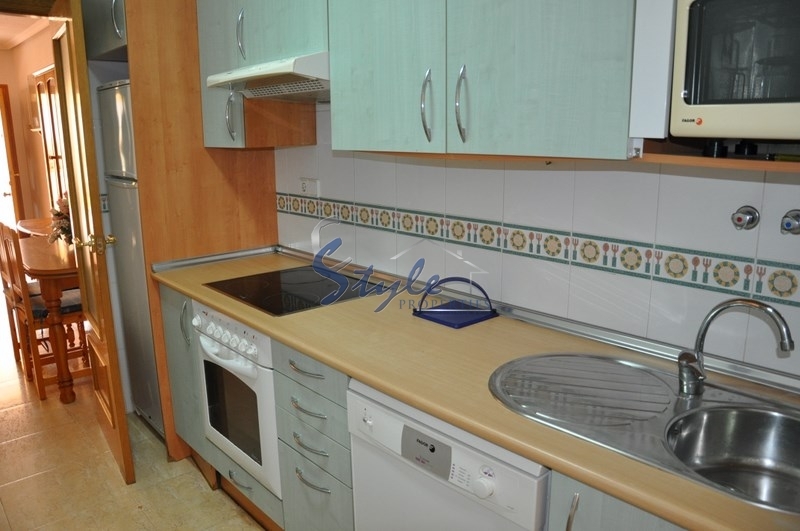 It is surrounded by all services: pharmacies, banks, supermarkets and etc.